Snorkeling and Diving can be a great way to explore the reefs as there is great diving and snorkeling spot at the Lambug Beach Coral Garden. Canyoneering is a popular outdoor trek that involves traveling down creeks or streams within a canyon through variety of means including walking, jumping, swimming, climbing, abseiling. We are close to the Kawasan Falls and the canyoneering and we can support you to get there and book the canyoneering for you. 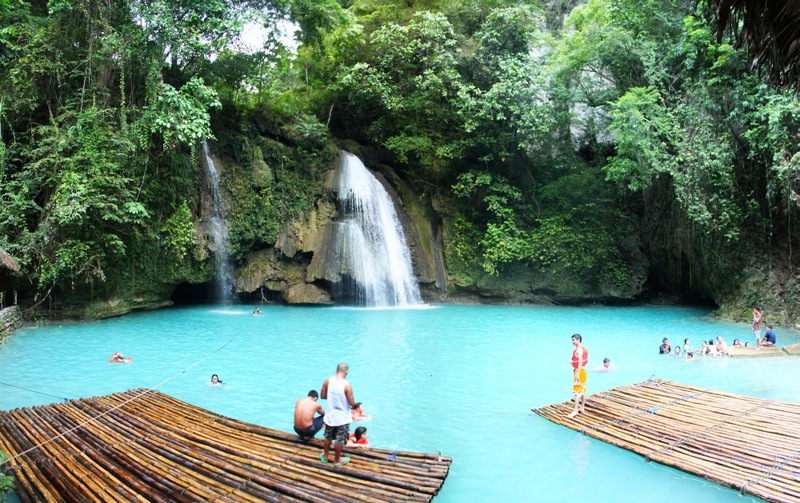 Discover the wonderful Kawasan Falls just a few Minutes drive away from our place. You can enjoy and easy hike up along the river and discover many cascading falls till you reach a quiet lake at the top. 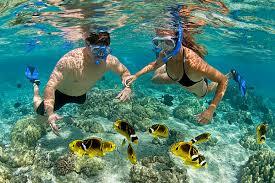 For refreshing you can swim any time and any where in the crystal clear Spring water. 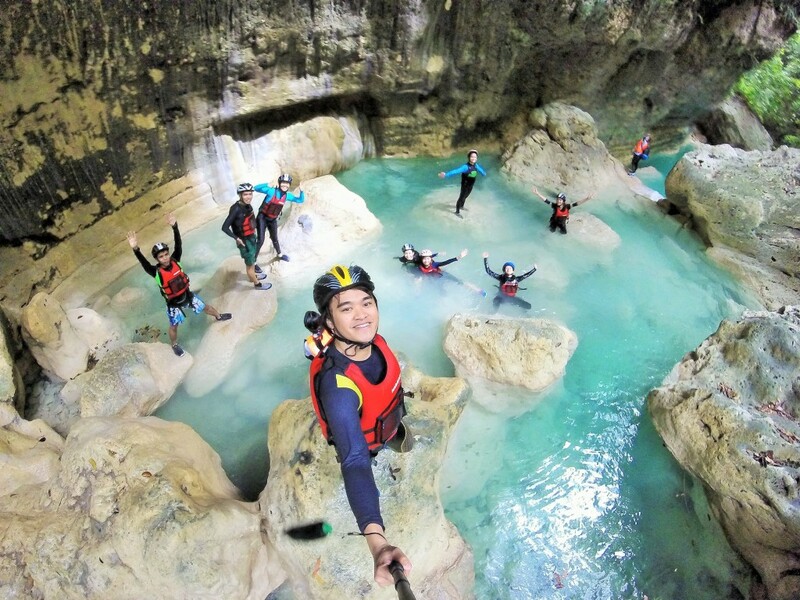 The adventurous can even do a canyoneering half day trip at Kawasan Falls. Beside the famous Kawasan Falls are many more waterfalls and caves to discover at Cebu’s west coast as in Alegria and Ginatilan, check the internet for more information. 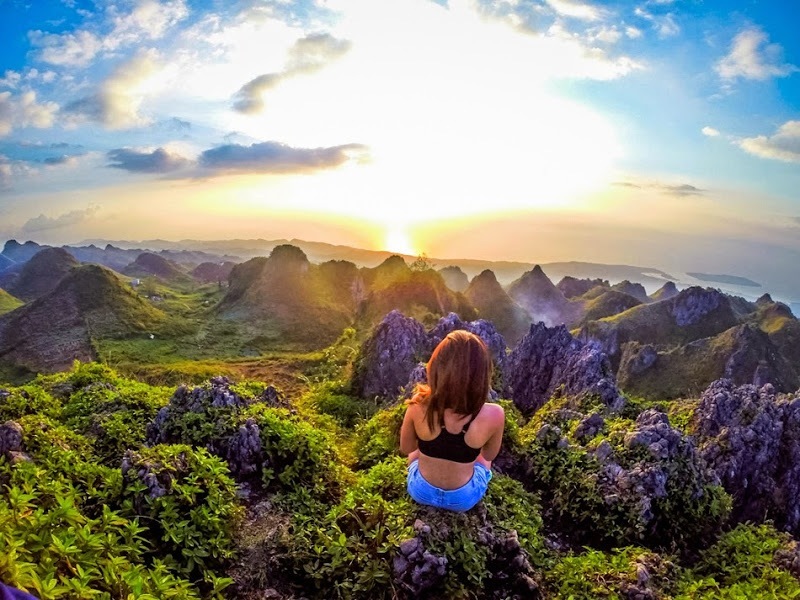 The sportive persons can do mountaineering and climb up to the highest mountain of Cebu the Osmena Peak 1013 meters above sea level and enjoy the fresh mountain air and an unforgettable panoramic view. Once you reach the Osmeña Peak, you get a 360-degree view that includes the southwestern coastline of Cebu, and you even see the province of Negros Oriental. Near to Osmeña Peak is the Mountain Village Mantalungon which is famous as the summer capital of Cebu because it is 700 to 800 meters above sea level giving it a pleasant climate all year round. The high elevation has made the village an ideal place to grow flowers, vegetables and other high-value crops, which gives Mantalungon the reputation of being the vegetable basket of Cebu. Osmeña Peak and the Mantalungon range are accessible to hikers and mountaineers all year round but it is best to climb the peak in the first half of the year since the rainy season is from June to October. Less then 15 kilometres away from Lambug Beach is the busy tourist town of Moalboal where you can go for diving or shopping at the Gaisano Mall, there are also ATM’s and different Restaurants as well as a Mc Donalds Restaurant. 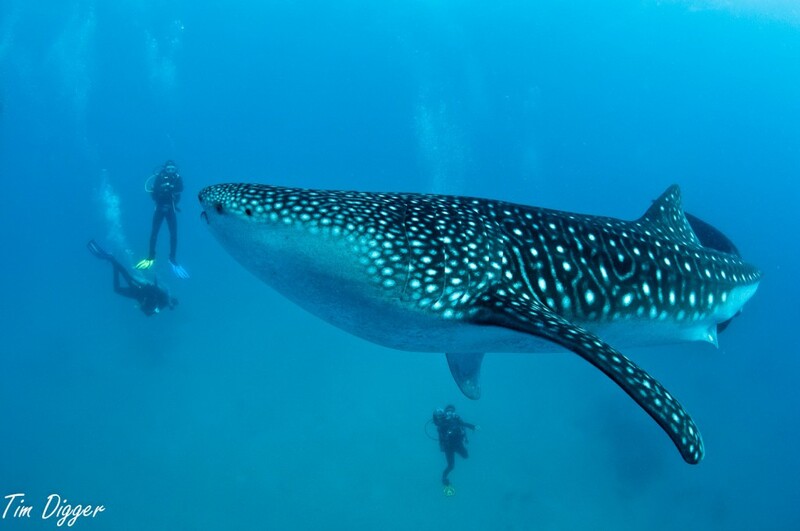 An about 1 ½ hour drive going south will bring you to Oslob where you can snorkel and dive with the whale sharks.